Welcome to Seatcraft, a leader in the field of premium home theater seating. Our company is devoted to crafting the finest home theater seats, sofas, and sectionals on the market. Superior materials, rigorous construction standards, and eye-catching designs are all employed in our quest to create the perfect seating experience. At Seatcraft, quality and innovation blend to create a total immersion in style and comfort. 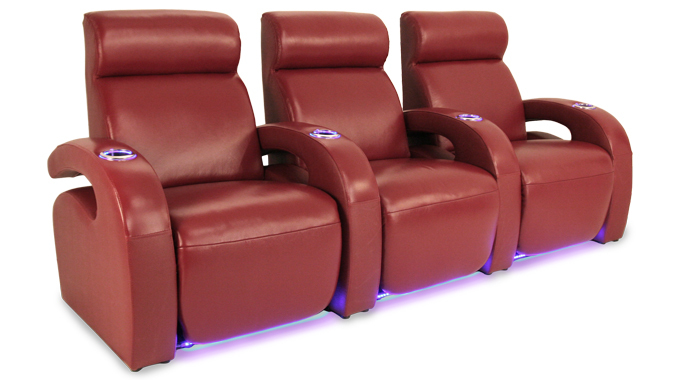 Our home theater seats bring you right into the center of the action with features that include overstuffed headrests, chaiselounger footrests, and lighted cup holders. Each seat has its own individual design flair, from contemporary to classic, with a wide range of material and color options to choose from. With Seatcraft the possibilities are endless, and perfection is never unattainable. If you have any questions about Seatcraft products or services, we are happy to assist. Please contact us by phone, email, or the web. We will provide a response shortly.